If you have a professional profile on LinkedIn but haven’t taken the next step in building your network, you’re missing out on a valuable job search tool. Building your professional network on LinkedIn will help you find job opportunities as well as help establish your professional online presence. 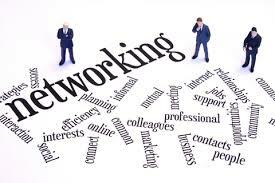 There are several ways to find relevant people with whom to connect. An initial way to build your network is by importing your email address book to LinkedIn. This allows you to invite people to join your network that you already know and have done business with via email in the past. On your “My Network” page you’ll see the “Add personal contacts” section to the left to import your contacts. Rather than spamming everyone in your email address book, uncheck the “Select All” box and select each person that it makes sense for you to invite to your network. You can manage your uploaded contacts from your “My Network” page by clicking the “Manage synced and imported contacts” link on the right. LinkedIn helps you find relevant connections based on your profile information, so make sure your profile is complete. Browse LinkedIn’s suggestions of “People you may know” on your “My Network” page. If you see someone you’d like to invite to join your network, click on their name to be taken to their profile. If you click the “Connect” button from their profile page, you have the option of customizing your invitation. Adding a quick sentence to your invitation will make it more personal and likely to be accepted. Use the LinkedIn search box to find contacts in your industry, especially fellow veterans, with whom to connect. Start by typing the company name (where you’re interested in working) in the LinkedIn search box and hit Return. Then click the “People” tab to narrow your query to prospective connections. Use the advanced filters to the right to search by Location, Industry, or Keywords such as Title. You can use the “Past Company” filter to find former military members. Click the +Add link and type in your branch of service, or any branch, as a past company. This will narrow your search to fellow veterans working at that company. Now scroll through the returned list to find relevant people to add to your network. Don’t click “Connect” from the list, but rather click their name and connect to them from their profile page. Add a sentence to your invitation letting them know you are interested in working at their company. You’re not inviting them to your network to ask them for a job, you are simply growing a relevant network of people to gather information and insights from to assist your job search. Access your list of 1st degree connections by clicking “My Network” in the menu bar. Then click the “See all” link to the left. You can search your list of connections and sort by recently added, first name, or last name. The ability to tag your contacts no longer exists with the latest LinkedIn update. Use the search box to find relevant groups to join, both of fellow veterans and individuals in your industry. You can join up to 50 groups, which can grow your network exponentially. Fellow group members can offer a wealth of knowledge and support for your job search. Listen, learn, and contribute to group discussions. If you’re new to a group, read what others are discussing to get a feel for it. When you have something to contribute, add a comment to a discussion. Or Like a discussion to show you appreciate their post. Start your own discussions, ask questions, and offer advice to establish your presence and expertise. Be sure to connect individually with people you meet in a group. Invite them to join your network and message them privately to continue the conversation. Groups are one of the best resources of information and relevant connections that LinkedIn offers, so be sure to join them and participate as much as possible. Spend 15 minutes a day finding and inviting new connections to join your network. Use the LinkedIn app on your smart phone to add connections while waiting for an appointment or standing in line. It won’t take long before you have a decent sized professional network built up that can help you find information and opportunities in your industry. This entry was posted in Social Media, Transition Advice and tagged job search advice, LinkedIn Tips, military to civilian transition, networking, social media, social media tips by Karin Durkee. Bookmark the permalink.